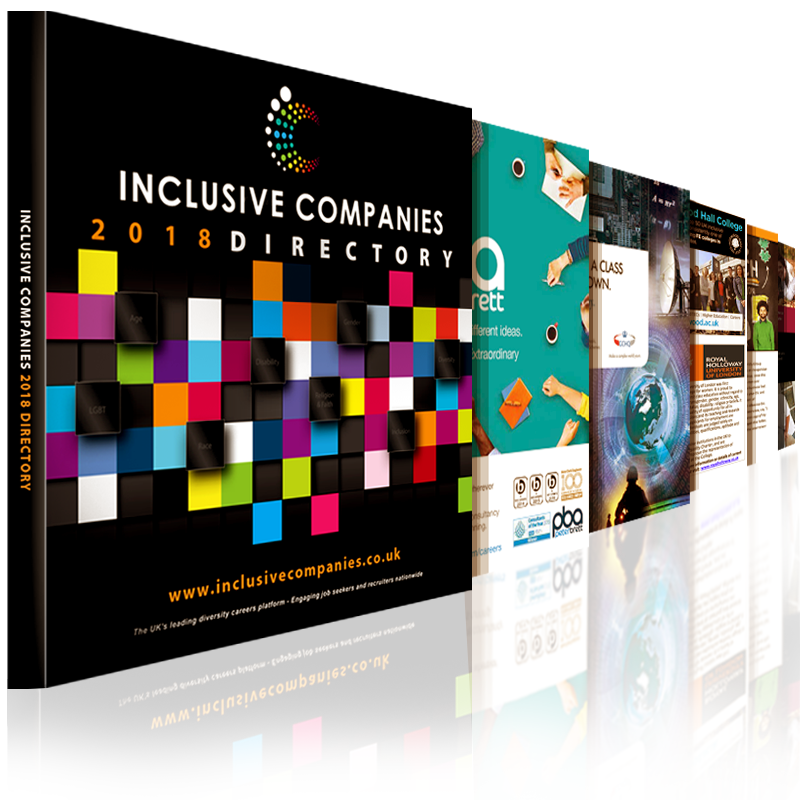 The Inclusive Companies 2018 Directory is in its eleventh year and is the leading portal for companies to present real job and employment opportunities to Job Seekers across the UK. This Directory connects enthusiastic jobseekers with top employers, highlighting companies that showcase a wide variety of job opportunities to dedicated individuals nationwide. The IC Directory is also an efficient way for employers to inspire, motivate and engage with future employees and encourage them to gain employment into some of the UK's most diverse organisations. This publication runs in conjunction with our unprecedented and unique Online Jobs Portal, which maximises the job search experience of both recruiters and jobseekers. Users will gain the latest information about different job roles, careers advice and skills needed to develop their own careers ambitions all in one place, giving them the confidence to achieve their desired career. As well as this, employers are given the ideal platform to promote their corporate social responsibility, company ethos and equality and diversity status, by highlighting companies that are actively involved in encouraging people from diverse backgrounds into their organisation. Whether an individual is preparing to enter the working world for the first time or is looking to pursue a different career path, our Directory recognises the importance of showcasing what opportunities are available. As it stands, the unemployment rate in the United Kingdom averages 5.2%, a total of 1.71 million people who are currently unemployed. Whilst latest figures have indicated a fall in employment, the harsh reality is that just under 2 million people are still without the financial stability and security to plan for their futures, whilst a further 1.46 million people are only in part time work. As a result of being unemployed, jobseekers are stunted in the valuable professional development which organisations offer to employees to allow them to grow and to be successful. The Inclusive Companies Directory is determined to grasp the root cause of this issue and has established a key component to ensuring job seekers will maximise their full career potential and the opportunities provided to them by dedicated employers. The Directory and Online Portal is an essential part to an organisations recruitment, marketing strategy and employer brand, reinforcing a company's commitment to tackling unemployment across various industries within the UK.